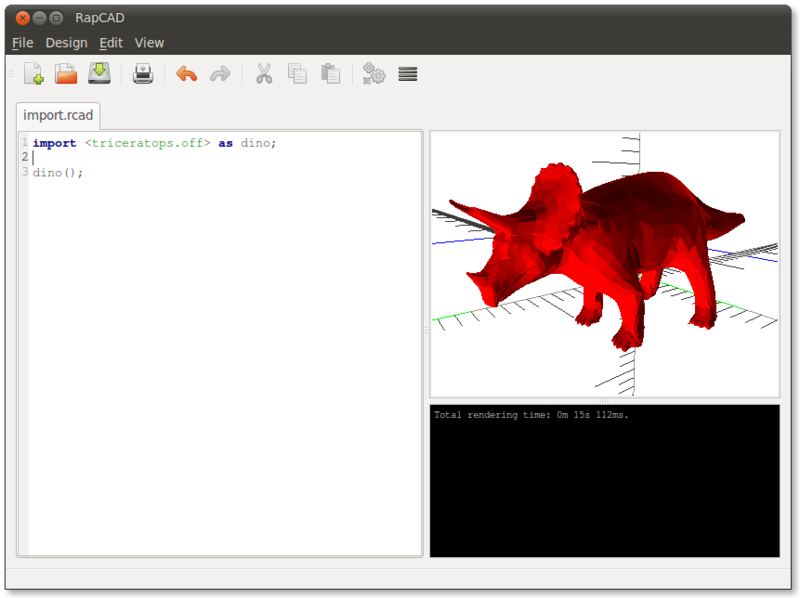 Does the old syntax still work for OpenSCAD compatibility? Also, while we’re changing the way importing is done, it would be nice to be able to import a DXF as a 2D polygon rather than being forced to extrude it at the time of import. Yes the old syntax will be supported via import_stl() and import_off() modules, however these will raise a subtle warning and will not be supported by the dependency tracker. Technically there is no dxf_linear_extrude() module but it made the intent of my previous comment clearer, what OpenSCAD actually does is overload linear_extrude(). its a technicality that is easily worked around. Previous Previous post: How RapCAD will do CAM. Next Next post: RapCAD dynamic arrays.